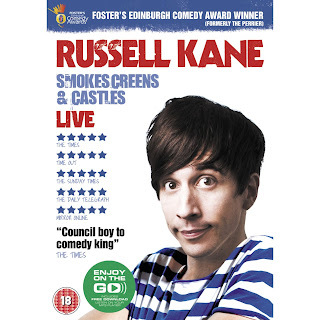 RUSSELL KANE Live DVD 'Smokescreens & Castles' Released Nov 7th - Catch The Trailer Here! Don’t miss this opportunity to see star of Comedy Rocks and co-host of ITV2’s I’m A Celebrity Get Me Out Of Here NOW! in his debut Live Stand-Up DVD. 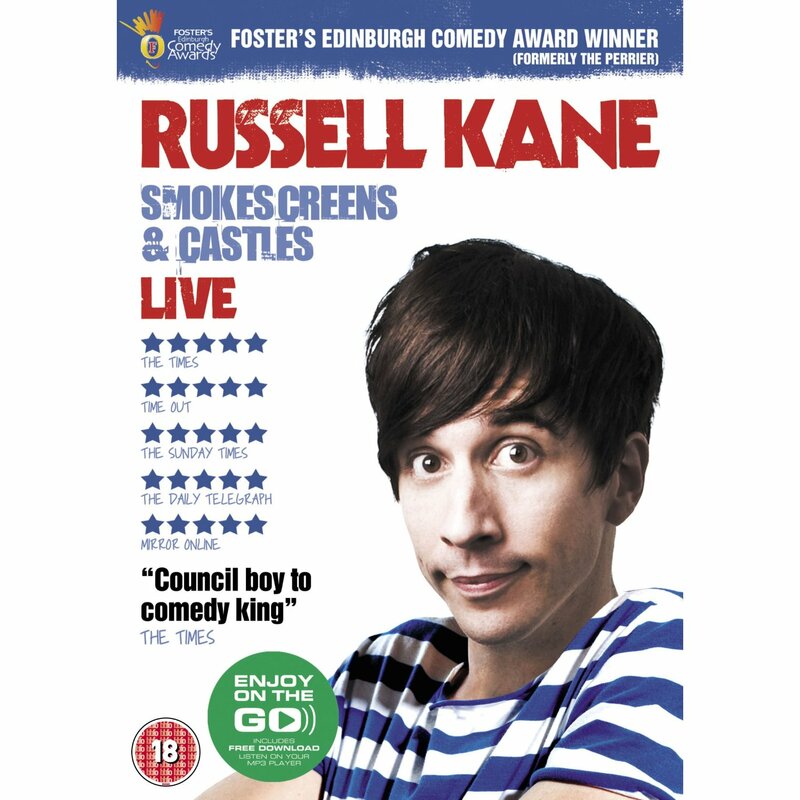 The 2010 Edinburgh Comedy Award winning show Smokescreens & Castles explores self, family and the consequences of Russell’s dad buying his own council house. Sociological silliness and high energy contortions guaranteed on this brand new live stand-up DVD. Released Nov 7th, you can buy it from our affiliates via the links over on the right.